You will notice, chers lecteurs, mes semblables, mes freres (dear readers, those who resemble me, my brethren), that there is a ball-point pen above the text of all my blog entries for The Carpetbagger’s Journal. I thought about the importance of this symbol when less than a year ago, the world adopted the symbol of the pencil in its mourning after the attack on the rather silly satirical magazine Charlie Hebdo. The idea that people got gunned down because someone drew a crude cartoon of a figure representing the prophet of Islam — that kind of hit home for me, because as I say some silly things about the South, I am as serious as a heart attack when I talk about Southern racism, and I have gotten the occasional Klan death threat. I take this in stride; after all, fighting racism is a noble cause whose opponents must be thugs by definition. It is a moral duty to stand up against injustice, I believe. I am willing to risk myself, and even the childish and crude cartoons of Charlie Hebdo are part of a truly glorious tradition of Western Civilization, that of opposition rhetoric in a democratic society. We all said at that time, brandishing a pencil (or in my case, that ball-point pen at the top of the screen) and declared, “Je suis Charlie.” And as evidenced by the continued presence of the pen motif that the hosting site of this blog, Word Press, has begged me to change for a newer look, I have maintained my penmanship, my eloquent luddite implement symbol because not only was I Charlie a year ago, but I remain Charlie. Je demeure toujours Charlie. It is more lovely than this photo allows. 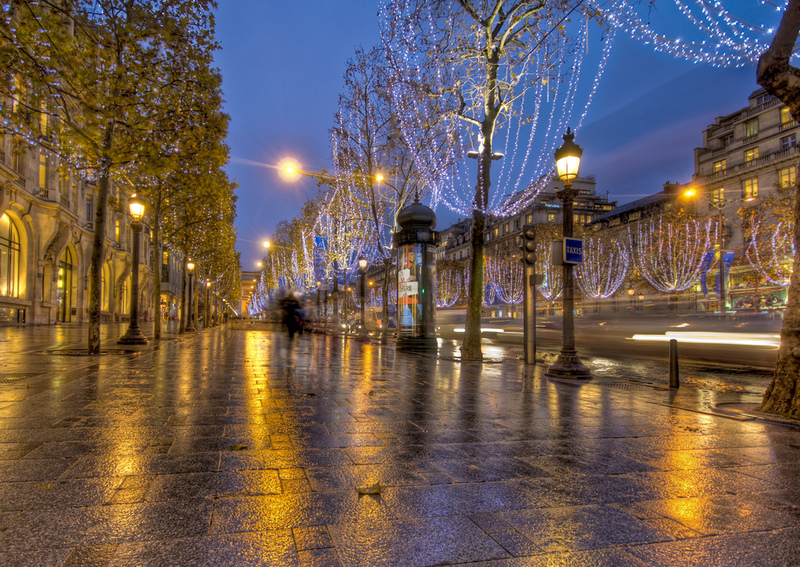 Turn a corner in Paris, and see another reason to be glad you are alive. I used to live in Paris, not Paris, Texas, but the actual tree-lined avenue-boasting, perennially chic yet avant-garde city of light. I lived there for about three years in my youth. I read my English poetry at Shakespeare & Co with much older expatriate writers for whom I was something of a mascot. I had a job translating at a French cooking school for American tourists and professional chefs. 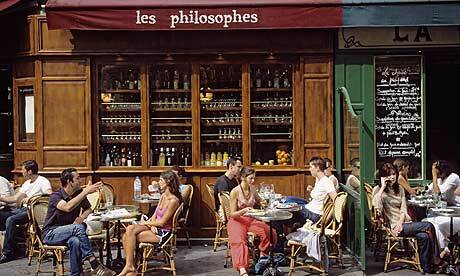 I studied at the University of Paris for a year, then stayed for two more, as I was intoxicated by the city. I was on the VIP list of most of the better dance clubs in town, and I went out dancing three nights a week. I wrote. I had foolish relationships. I wore revealing clothing. I debated in cafes. I signed petitions. I protested with leftists. I kissed under bridges, under mirrored balls, in front of paintings in the Louvre, along the Seine, in shadowy corners, in doorways. I kissed a lot of frogs. I know Paris the way a young woman who is just barely good-looking enough to get in the supermodel party (I was definitely the funny one with the slight but adorable accent, not the gorgeous one) knows Paris. It’s my oyster, or at least back then it was. I left because my father asked me to return to the United States. It’s a long story, but he thought I was dying of AIDS, the way over a dozen of my gay male friends were. In fact, I was neither seropositive nor AIDS-afflicted. I thought he wanted to build a better relationship with me, but he didn’t. He wanted to get me home before he would need to wrestle with authorities in a language he didn’t speak to get my corpse shipped back home. The irony of this misunderstanding is positively French, cruel and poignant. But like Edith Piaf, in whose old neighborhood I used to live, je ne regrette rien. In leaving Paris, I ended up finding Jesus, and my atheist father, well, he didn’t speak to me for the last ten years of his life. Non, rien de rien. Non, je ne regrette rien. So when yesterday, I saw that domestic terrorists egged on by ISIS attacked The Bataclan, a club I was too cool for back in the day, a Cambodian-French restaurant, and the Stade de France, I felt regret, actual regret. I had lived through a season of such attacks in Paris, bombs not bullets, and it is horrible that plus ca change, plus c’est la meme chose. (The more things change, the more they stay the same). But this IS different. This isn’t an attack with specific demands. This is an attack on Parisian life itself. I am regretful. I am horrified. My pen, which ought to be mightier than the sword, is pointed. My trigger finger is itchy. Enough! I say enough! France values ideas, art, and has built a society that accepts individuals without regard to race who are willing to participate in its secular culture. Paris remains the best place in the world for a good meal, a kiss, a gallery visit, a fashion show, a walk in the park, and a philosophical conversation. To attack France, to attack Paris, is to attack the best things about Western Civilization itself. The Nazis knew that when Hitler danced a jig under the Arc de Triomphe. Jihadists have attacked Paris before because it represents the best hopes of our European ancestors. In shooting metal fans at a rock club, they aim at Voltaire, at Sartre, at Chanel, at Colette. In shooting people in a Cambodian restaurant, they shoot at liberal and tolerant immigration policies that have welcomed Muslim people from all over the world, provided opportunities for healthcare, education, and work and have asked that they learn to live peacefully with those of other world views by adopting some of the customs of Europeans. In attacking a stadium, they have declared that their targets are not elitists, not even satirists, like the targets at Charlie Hebdo, but just average French people, working class, middle class, just anybody, that they hate everybody equally for just being part of this established secular culture. Everybody of every faith or philosophical persuasion ought to be at war with ISIS, a fascism that uses words associated with Islam but which is not a religion. The spirit of Paris and the spirit of Nazism are forever at war. We must choose sides; there is no compromise. We are either standing near the bouquiniste on the Left Bank, flipping through old volumes between kisses with someone who might not be entirely right for us, wearing an outfit which is cute but a bit too revealing, or we are covered in long black robes, a heavy gun hanging from our shoulders, looking for unsuspecting people to shoot, praying five times a day but torturing dissenters nearly as often. It’s not the moment for another debate in another cafe. It is time for action, not just ideas. In other hours, it is possible to argue about whether the President of France should have a mistress, whether that man kissing the nape of her neck at the bouquiniste is a bad boyfriend, whether women should walk around in skirts that short, whether the book they are looking at contains shocking ideas. In other hours, it is possible to extol the value of prayer, five times a day or more, the responsibilities of gun ownership, the differences between cultures in standards of modesty. This is not that hour. Those are the kinds of conversations one has at a cafe table in the Sixth Arrondisement with a small cup and a small spoon near one’s gesturing hand. This is not that hour. It’s time to get up from the cafe table and stop theorizing for a while. It’s time to materially and practically defend who we are and what we stand for. What happens to Paris happens to the best part of our culture. What happens to Paris happens to romance, beauty, and freedom. What happens to Paris happens to all enlightened thinkers everywhere. Back when I first moved to Paris, still a teenager, I met the French Resistance poet Jean-Pierre Rosnay, who ran a place called Club des Poetes, sort of a pre-slam cabaret poetry show with red wine and folk singers in abundance, though everyone who read was either middle-aged or older. Rosnay had started writing while hiding out in the sewers of Paris, shooting at Nazis in the French Resistance. Rosnay had devolved by then into an alcoholic skirt-chaser. I had gone to him in hopes we might talk, as he did with many young male poets, about my work as a poet in English, but instead, looking at me, he saw a groupie he wanted to bang. He made a drunken and embarrassing pass at me in front of his long-suffering wife, whom he condescendingly referred to as his “muse,” and it was just awful. Who at 19 wants to be groped by a drunk man in his seventies, Hugh Hefner notwithstanding? It is in the spirit of the young poet, not the old and lecherous poet who groped me against my will in the dark during a poetry reading, that I call on free thinkers everywhere to stand up against the forces of cultural fascism, where cartoonists who draw things in poor taste get gunned down, where fans of bands of questionable talent get gunned down, where people, just mere men, just the attendees at some random Bastille Day parade get hurt by attackers who claim the name of a false god as they maim and hurt and assassinate nameless masses. I call upon you as DeGaulle called upon resisters. I may be, like DeGaulle, overseas as I radio this in, but the threat is pervasive, and the forces of censorship and violence abide in every era. We are not called to sit silently or to merely host a conversation about the problem, no. I say, like Rosnay said, I say NO. We are supposed to do, to materially do something about it. We are worth more than just who we are. We are representatives of a culture worth fighting for. We are the cavalry we are waiting for who will save the day. There is only us. We are it. We need to stand up against oppressors everywhere, and where they fight us, we fight back. I said we fight back. I mean we FIGHT BACK. Aux Armes, Citoyens! To arms, citizens of our culture! Defend freedom! Either this stops with us, or we become its victims. Long live Paris. Vive la France! Long live the idea of Paris and of France as it imagines itself, as it aspires to be! We are all Charlie. We are all Jean-Pierre. We are all Edith Piaf. We are all Parisians today.